The Evolution of Frozen Desserts. 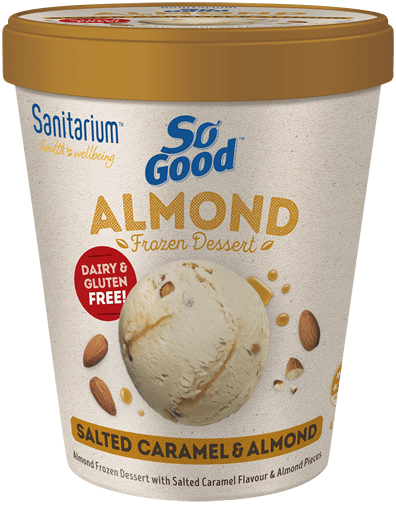 Smooth & creamy Almond Butter is blended with decadent caramel flavoured syrup, just a sprinkle of salt, and roasted almond pieces for an intensely satisfying taste experience. 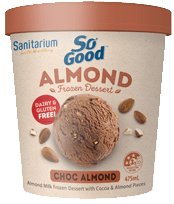 This delicious blend creates a creamy, totally dairy free treat crafted by Sanitarium Australia. Now, just try to resist licking the bowl! 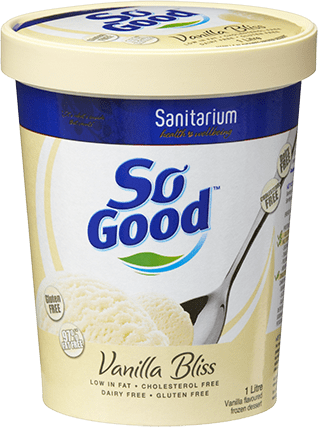 Try it and find out for yourself! 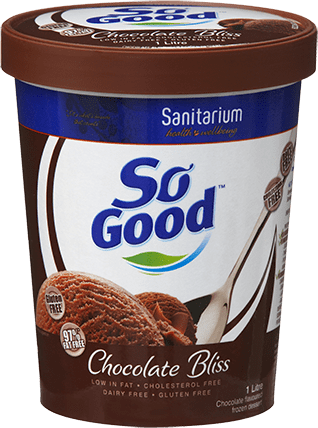 Water, Liquid Sugar, Maltodextrin, Almonds (7%) (Almond Butter, Roasted Almonds), Glucose Syrup, Salted Caramel Flavoured Syrup (5%) [Glucose Syrup, Sugar, Water, Thickener (1442), Salt, Coconut Oil, Natural Flavour, Caramelised Sugar Syrup, Acidity Regulator (330)], Inulin, Canola Oil, Natural Flavour, Emulsifiers (471, 477), Caramelised Sugar Syrup, Stabilisers (412, 410), Salt.